She gettin a houze all set uppy fur when ah joinin her. Da one onda topz iz mah Luvin Heart Fur Yoo! Ah axed Dad ta makin a nicer cake lak las yearz. Ah Missy Yoo Angel Kali. 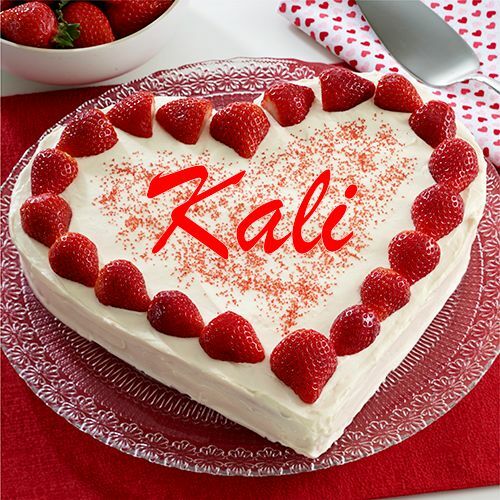 I'll definitely have a slice and remember Angel Kali wif ya. We miss Angel Kali too....but you and she were joined at the heart so I know it's hard for you just as it is for her sister Shoko. We send hugs to heaven to her and hugs to you as you miss her so much - by the way - don't you be in a hurry to join her OK? Happy Birthday to that dear Angel from all of us. I don't know about mom she read this posty at 8am and got all choked up so she never responded. What a turkey, geez! She adored the post and sends the biggest hugs to Buddy and Einey plus their dad. This was so very kind of you. Kali will have a great time I just know it. Thank you so much my friends. I'll have a piece of cake with you. I'm sure you miss Angel Kali, but don't rush off to join her too soon. I'm sure she's making a beautiful house over the bridge for you both. Thanks for inviting us, Buddy ! We all miss sweet Callie ! 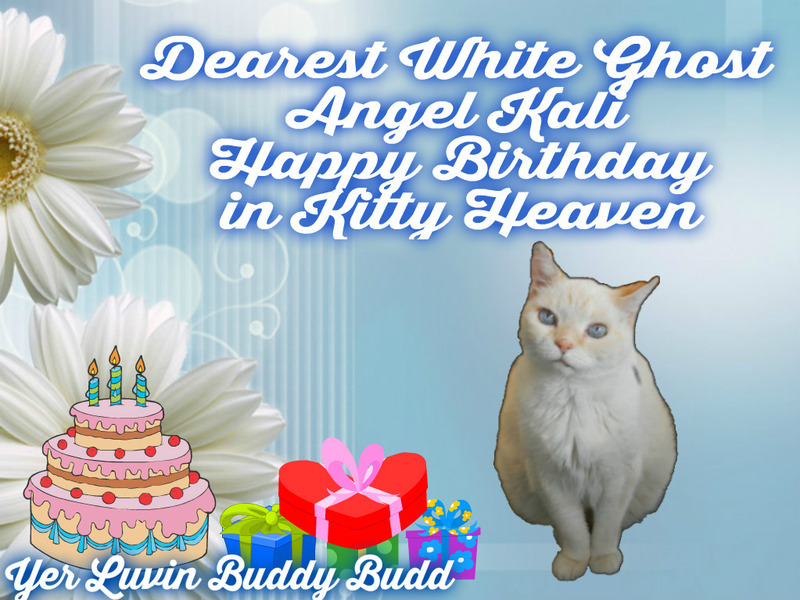 What a great pawty you put on for Angel Kali! You are absolutley the bestest! 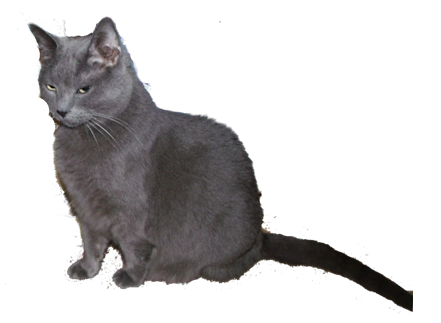 And Queen Penelope says that all the Angel Cats (including Mr Buttons) had a pawty for her. They then went and sang Happy Birthday to Shoko and Mom and Dad! We never forget our loved ones, no matter how far away they are right now. This is a lovely post for your sweetheart. Happy birthday at the Bridge, Angel Kali! You have a big heart, BuddyBudd, to share your Angel Kali and give her sch a nice big pawrty! And pawlease don't leave your loving earthly furmily anytime soon, OK? We love you and still need you here. Esp your furblings and your Dad!